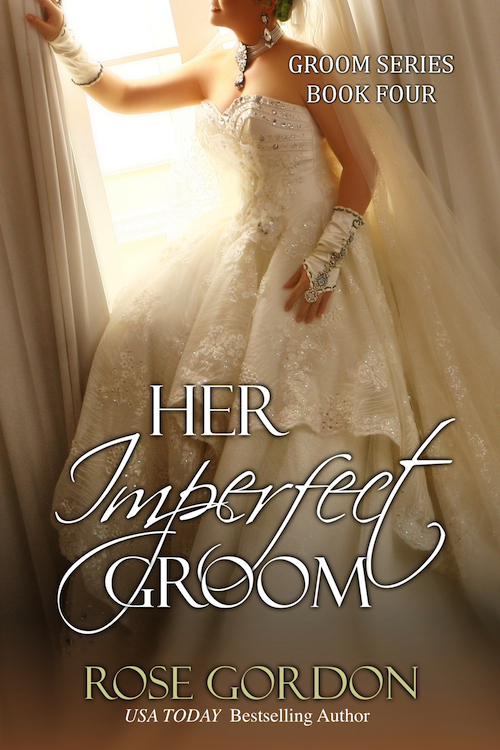 It’s Sample Sunday again and this week it’s time for the last “Groom”, Sir Wallace, to find his bride: Edwina Banks in Her Imperfect Groom. 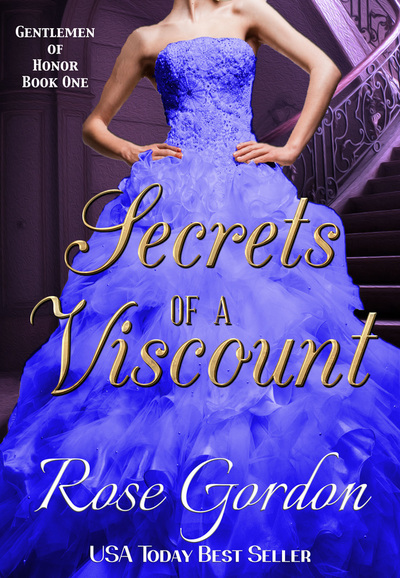 There, no more than six inches from her face, was the most handsome face she’d ever set eyes on. And there wasn’t even a particle of a chance her dry, stinging eyes were going to blink and cheat her from the feast they were drinking in for as much as a fraction of a second. Normally, Edwina dismissed physical appearances altogether, but not tonight. Tonight she was held captive by a chiseled face that had a square jaw, high cheekbones, pale red lips, a slim nose, arching brows, and long, black lashes that surrounded a pair of the most beautiful gold-flecked, brown eyes she’d ever seen. The musicians’ instruments grew louder, indicating the climax of the waltz. Edwina’s heart sank. This was it, the final seconds of the most glorious waltz she’d ever danced. “The pleasure was mine,” Edwina said. The pleasure was mine? What was she saying? Since when had she taken after her brother Alex who said the first thing that came into his head, no matter how ridiculous it sounded? 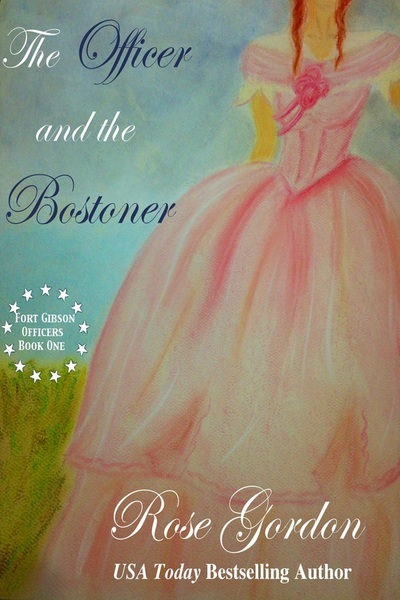 She chanced a glance at Sir Wallace, and breathed a sigh of relief. At least he wasn’t looking at her as if she were a simpleton. “He did,” Edwina confirmed, taking his proffered arm. 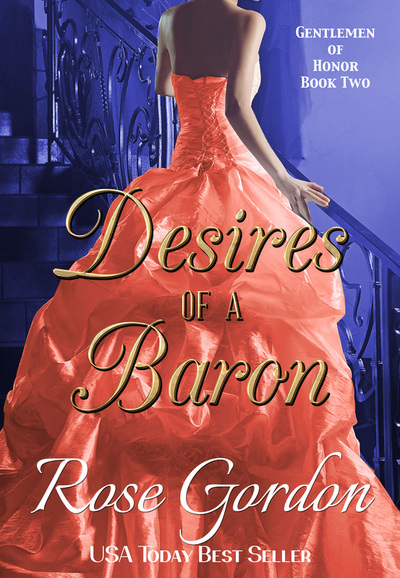 She honestly didn’t care where he led her—to the refreshment table, the little row of chairs along the back wall, or even Gretna Green—she was game to go anywhere with him at that moment. 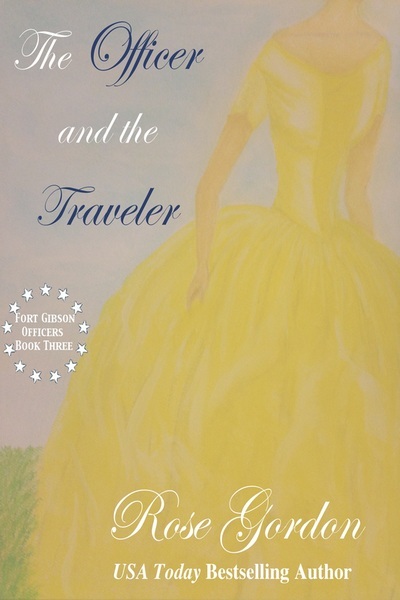 “I don’t know, but when you decide, perhaps you can inform me,” Edwina said with a smile. “It’s not proper, you know,” he whispered. “You’re likely right,” she agreed. “Now, just tell me what I want to know, and I’ll leave you alone for the rest of the night.” That was a brazen lie. She couldn’t explain exactly what it was, but there was something about this man that fascinated her to no end and she honestly didn’t think anything short of an act of parliament could separate her from him for the rest of the night. Edwina started. “You did?” Emma, Lady Sinclair, was one of Caroline’s closest friends and had spent a considerable amount of time visiting Caroline at Watson Estate since Alex and Caroline’s wedding over a year ago. Though Edwina wasn’t that close to Emma, she knew her well enough to know she and Marcus had a love match. So why did she almost marry Sir Wallace? Now, it was Edwina’s turn to blush and grow uncomfortable. “I don’t typically read scandal sheets.” That was true enough. “Yes, but surely you’ve heard someone gossip about—” He waved one gloved hand through the air in an upward spiraling motion. A wave of relief flooded Edwina and she averted her eyes to where her hands were resting in her lap. She frowned. How had the front of her pink silken skirt become so wrinkled? It looked almost as if she’d been clutching the front of her skirt while waiting for his answer. She immediately pushed the thought from her head. That was just foolishness. 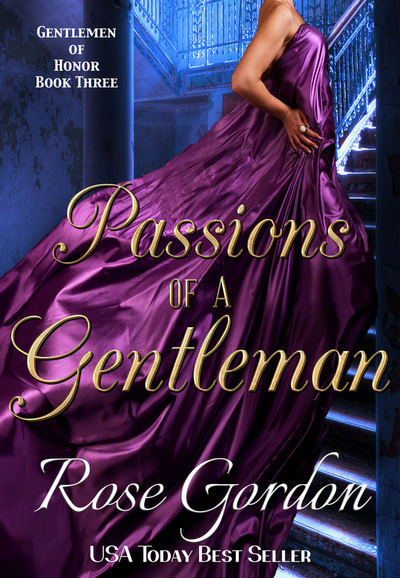 She might find the gentleman intriguing, in an unusual sort of way. And he may even be handsome beyond comprehension. But she did not have genuine feelings for him, especially none of the jealous or romantic variety that would lead a young lady to ruin her gown in anticipation of his answer to such an inconsequential question. 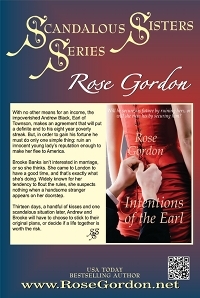 Edwina’s heart constricted in the most painful way imaginable. “Oh,” she croaked. She coughed delicately, and forced a brittle smile. Truly, what was coming over her to make her react this way? Edwina didn’t doubt those words for a second. If the crippling pain in her chest was any indication, she’d say she was experiencing such a painful phenomenon this very instant. Two years ago, I never really anticipated this, but being emailed every few days to inquire about a reading order, really isn’t a bad thing. However, I wanted to post this here for those who are wondering, so they don’t have to wait on my response. 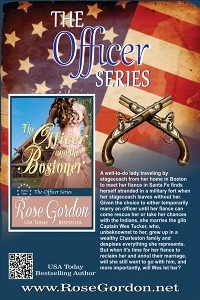 First, I should mention that The Officer Series isn’t really connected to my other books so they can be read first or last, it doesn’t really matter. 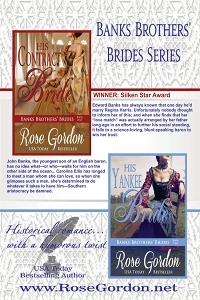 His Contract Bride and His Yankee Bride are prequels that are about the parents of the siblings/cousins in the other books. I know just listing it out doesn’t really “help” everyone, so if you’re more of a visual person, I’ve attempted to make a family tree as best I could on here. 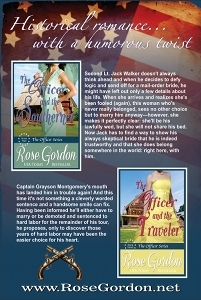 Two books that I’ve written that aren’t part of the Officer Series are NOT listed in this family tree–Her Reluctant Groom, which is about Alex’s friend Marcus. His parents, however, are witnessed in action in His Contract Bride. Also, Her Secondhand Groom is also not a “Banks book”. It’s about Marcus’ other friend–Patrick. 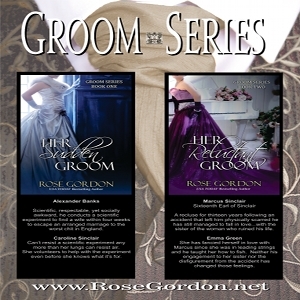 When I first got the idea for the Groom Series, Marcus was to be the main “connection” between the heroes. They were both friends with him. 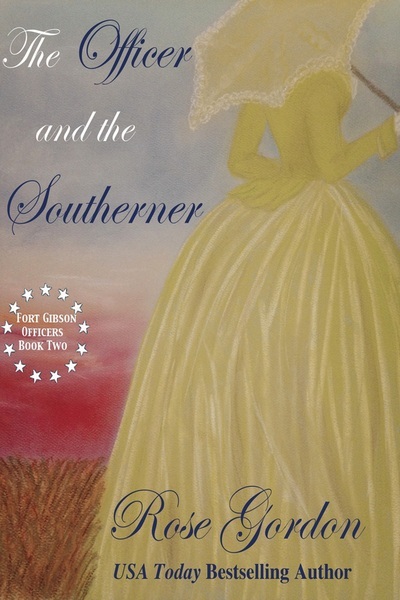 But when I got Sudden and fell in love with Edward (and of course John threw a curveball at me when he mentioned that the circumstances surrounding his and Carolina’s marriage were not up for discussion), I decided I needed to write about them. This was also the case with the whacky Sir Wallace in Reluctant. 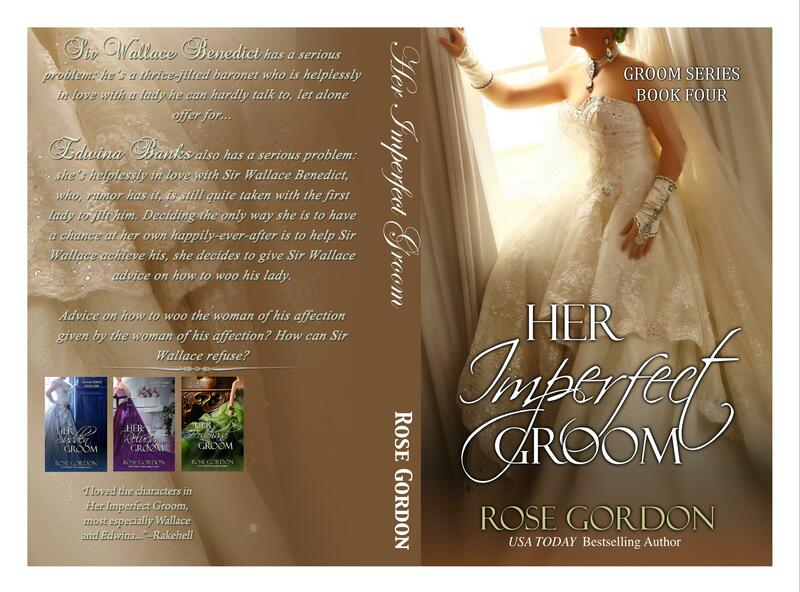 I loved him INSTANTLY and knew almost immediately who would be the perfect heroine for this imperfect groom. Yesterday I showed bookmarks, today I have bookplates! For the sake of me not sending out so many emails to clog your inbox, I’m going to answer a few reader questions in this post. 1. What does “swag” stand for? “Something we all get” If you ever go to a readers’ conference or book fair or even sometimes your own library, there are items that you’ll get in your registration bag or just to pick up. This can be anything from pens to chip clips, lip balm to USB drives, business cards to signed book covers, chewing gum to bandage dispensers. Just a hodgepodge of items that the author has his/her name put on to help you remember their name/books. 2. Who designed the bookmarks and postcards? Anya Kelleye. I meant to post that yesterday, but I got distracted (sorry, Anya!). 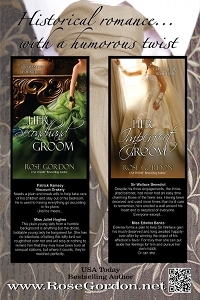 Anyway, she has done several projects for me including the bookmarks and bookplates. 3. 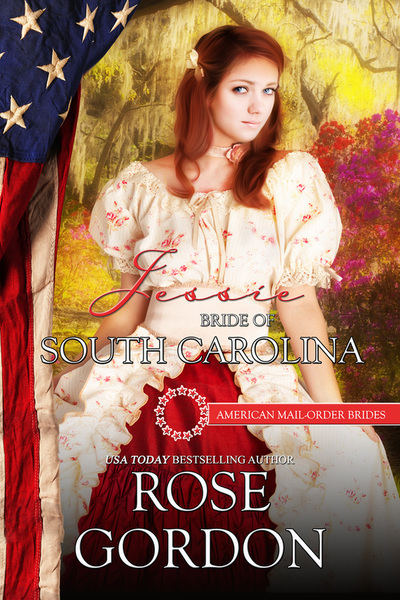 Is it necessary to read the two previous books in the series to read His Jilted Bride? Not at all. The two previous books take place nearly 30 years earlier and are the stories of the hero’s mother and father and aunt and uncle, respectively. 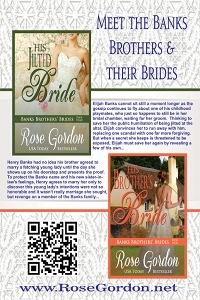 If you want to see Elijah (or his twin Henry who is the hero in His Brother’s Bride) in previous books, I’d recommend Her Sudden Groom which is about his eldest brother, in which he plays a very minor role toward the end, and in Her Imperfect Groom where they both play another small roll in the first third. Nothing that is crucial to the plot of Jilted takes place in any of the other books. 4. Will you be signing books at RT this year? Yes. I will be signing during the Indie Expo on May 2, from 4-6pm. I’ll also have two “meet & greets” in Club RT at 1pm on Wednesday and 2pm on Thursday. Come see me and divest me of some swag! In addition to this, I have pressured a good friend of mine Ruth Ann Nordin to come to dinner with me and with us, we’d love to have some readers join us for that dinner! So if you’ll let one of us know that you plan to be there and would like to dine with us, we can get you more details. Very, very good. I am hoping to finish the first draft today, actually. I have one more chapter and the epilogue. It shouldn’t take long, then I have to spend the afternoon and Sunday to sort swag before I can start my prelim edits on Monday morning. 6. When will The Officer and the Bostoner be out? 7. 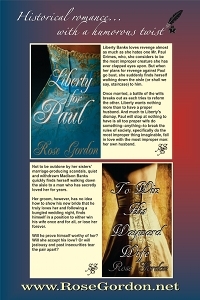 At the end of Liberty for Paul it’s mentioned that Sam (Paul’s brother) will no longer be able to sire children, what exactly happened to his parts? Uh…well, I really left this open to the reader’s interpretation and what they wanted to happen to him. How much do they hate him and what do they think he deserves. In my mind, I imagined the privilege was gone. As in, he wasn’t like Marcus where he’d had an accident and could still perform but not sire children; but rather his ability to even have any type of sexual activity was squished right along with his…er…wedding tackle. Realistically, back then, I don’t think he’d have survived if the accident had been so bad it had actually divested him of his lust musket (yes, I put lust on purpose–that man doesn’t know the meaning of love) or if not immediately, but later. They have the means such a misfortune now, but not back then. But that doesn’t mean that he wasn’t hurt in such a way that destroyed the nerves underneath that allow him to rise to the occasion and that perhaps his whirligigs didn’t get damaged to a point that it was necessary for them to be removed. Really though, it’s up to you. How badly do you want to imagine he got injured?